And if you’re fortunate enough to be in Haworth for Charlotte’s birthday on April 21st (sigh) you’ll really enjoy all this. 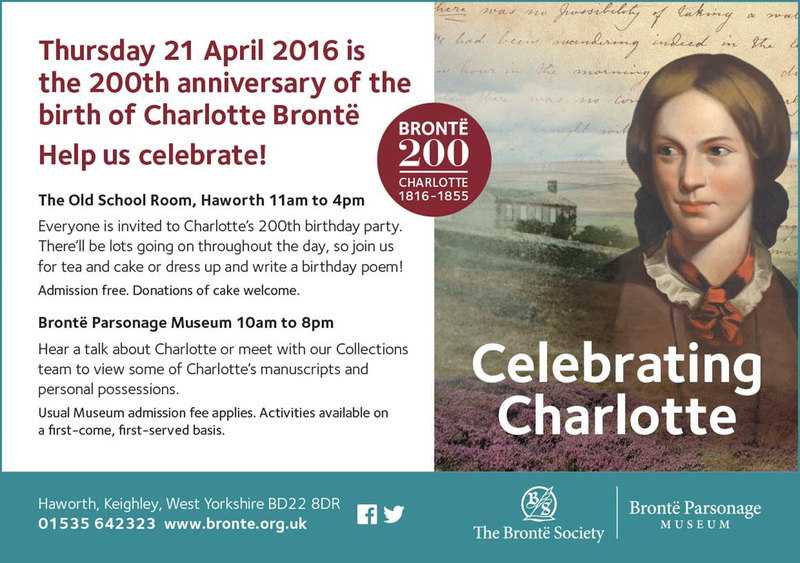 Previous Previous post: If you’re a Brontë fan, you might want to catch this. Next Next post: Flash fiction competition.